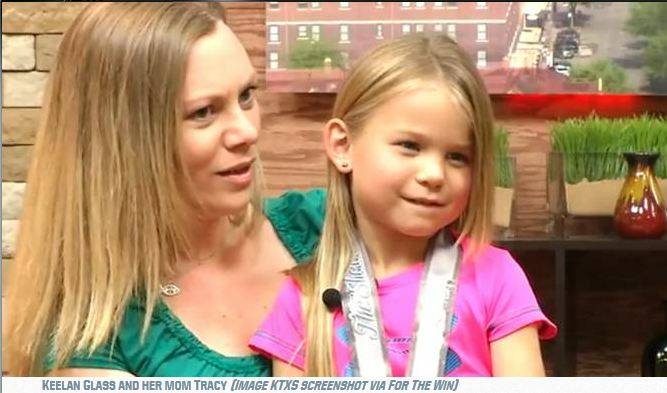 By now, some, if not most, have read the article of the 6-year-old girl who became the youngest ever to complete a half- marathon. Not only did she become the youngest ever, she finished 5th out of 10 in a group of competitors aged 14 and under – she was the only competitor under 12 years old. Race announcer said “she seemed to be barely even breathing hard at the finish line.” So the question being asked – is this safe and appropriate? The question I ask: is this a real concern or more of an excuse? Her ability to complete this race in a fast time and appear to do so effortlessly is due in large part to the physiological makeup of kids. Kids have a completely different physiologic function than adults. Their aerobic and anaerobic metabolism differs, hormone levels differ, and cellular response to exercise is significantly different. Kids have an excellent ability to utilize oxygen (absolute VO2 Max) – in other words, greater aerobic capacity (1). Kids also have higher levels of the enzymes that are specific for aerobic metabolism, thus improved long-term energy capability. However, they lack anaerobic enzymes when compared to adults, making them less able to perform high intensity tasks (2). Kids have lower lactate levels, thus, during high intensity activity kids are unable to regenerate energy as efficiently (2). This is not the case when working in an aerobic or lower intensity state. Kids have also lower respiratory exchange ratio, which indicates they utilize fat better than carbohydrates. Thus, they are better equipped to handle aerobic activity, such as long distance running, versus anaerobic activity like sprinting and lifting weights. To no surprise, kids have significant musculoskeletal disadvantages when compared to adults. Secondary to hormonal levels, testosterone, kids do not demonstrate significant muscle growth. Bone mineral density is less in kids, but increases significantly during puberty and young adulthood. Through cellular signaling pathways and mechanotransduction (links to my blogs that explain this in more detail) bone is especially responsive to the benefits of weight-bearing physical activity during adolescents (3). Much like a rusty nut and bolt, as we age tissue extensibility experiences a decline. Kids, have well-nourished collagen that moves freely and allows for greater flexibility than most adults. However, the same concept immaturity of soft tissue applies to bone. Growing children have a higher level of pliability to bone – especially at growth centers – making them susceptible to injury such as apophysitis. 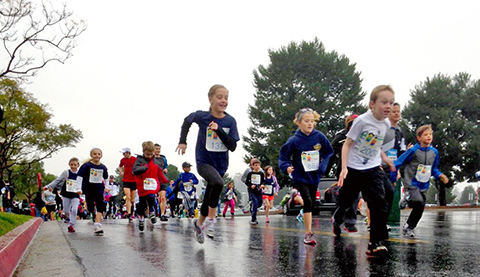 Physiologically and metabolically kids are well equipped to perform long distance exercise such as a half marathon. Their bodies are so proficient at managing the demands asked upon them during aerobic exercise that it seems, or is, effortless. They’re like a hybrid car; they are designed to go long distances because they have better utilization of fuel. From a musculoskeletal standpoint, there’s potential for injury to occur. Repetitive trauma and loading of immature bone can alter bone growth and cause injuries such as Osgood-Schlatter disease, or similar apophyseal issues, especially when muscle strength increases. Lack of overall muscle strength can also trigger chronic injury to tendon and joints. Another concern is a kid’s ability to thermoregulate. Lower total body water and higher threshold to stimulate a sweat response, coupled with overall less sweat makes kids susceptible to heat illness. So, parents and coaches should take caution when a child runs in hot or humid conditions. There exists potential for bad things to occur, but there exists many positives things as well. Concern for injury is legitimate, but in my opinion, the positives outweigh the negatives. There are plenty of good reasons for a kid to pursue an interest in running. More than 33% of children and teens are considered obese (4); this is an increase of nearly 150% from 30 years ago. The largest contributing factor to childhood obesity is decreased physical activity. At a time where our primary focus should be to increase physical activity, it is nice to read about this young girl doing great things. Yet, I hear and read many comments like “That’s dangerous”, “That is not good for your kid” or “That mom is going to hurt her kid”. Actually no she won’t – she is instilling the importance of physical activity in her child and setting her child up for life long health benefits. While her child may have a higher risk of the occasional musculoskeletal injury her child will be less likely to suffer from cardiovascular disease, diabetes, asthma and many other diseases that shorten life. If given the choice between running a half marathon or playing a video games – my kid will run and yours should too. Rowland TW. Children’s Exercise Physiology 2nd Edition. Champaign, IL: Human Kinetics; 2005. National Academy of Sports Medicine.Youth Exercise Specialist Manual. Chandler, AZ. 2012. Actually, DeWayne Smith, ATC, CSCS, NASM-CPT, CES, PES was lead writer for NASM’s YES certification course. Go to his site Fitness-for-Everyone.com, book mark it and subscribe to RSS feeds. Find him on Facebook and like it. Tweet him on twitter using the handle @fitxpert1. Mr. Stone, this article is right up my alley! I have just received my NASM certificate for CPT, and I have signed up for their Youth Exercise Specialist certification. Along with that I intend to read articles such as yours and books on the subject. Your article helped me on a personal level as my 11 year old wishes to run with me, and I was considering having her train for a half with me. Awesome Jolene and thank you. Good luck on the YES course. Some of the content here was part of that course.